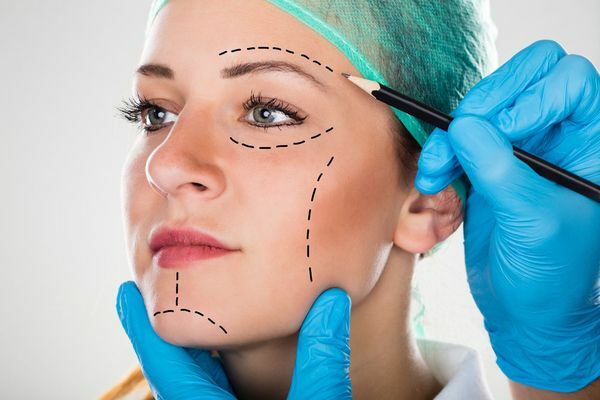 A facelift by board-certified plastic surgeon Brian F. Burns in Victoria, TX, can offer a younger-looking visage while maintaining your natural features. Knowing how to prepare for facelift surgery is key to the success of treatment. Taking simple steps beforehand can lead to a much smoother treatment and recovery process. Preparation for facelift surgery should start early. Make sure you read and understand all pre- and post-operative guidelines, as some instructions may take effect several days before your actual procedure. For instance, stop taking any blood-thinning medications that can cause a negative interaction during surgery (such as aspirin or ibuprofen) about one to two weeks before the procedure. During the two weeks leading up to surgery, eat a healthy diet, get plenty of rest, and stay active. This will help your body to recover more quickly after the procedure. You may also want to add a Vitamin C supplement to your daily routine, as Vitamin C can help accelerate the healing of incision sites. As you start preparing for surgery, be sure to increase your water intake. Do not forget to arrange for a reliable friend or family member to bring you to and from your surgery. They will need to wait at our facility as you undergo surgery, so plan your schedule accordingly. If you regularly smoke or use tobacco, it is important to stop several months before surgery. Smoking can constrict blood vessels and alter blood flow, which can impede the healing process. For the best results, drop the habit permanently. As you start preparing for surgery, be sure to increase your water intake. Staying hydrated can help your body better prepare for recovery. Do not drink alcohol for at least a week before surgery. Alcohol, like smoking, can restrict blood flow, and can affect recovery. We also advise avoiding alcohol for at least one week following surgery. This time is a great opportunity to run any last-minute errands to ensure your recovery space at home is ready. Make sure the area is comfortable and easily accessible. Add plenty of pillows nearby to keep your head propped for the first few days; keeping your head elevated will help your body to heal. Thoroughly wash your hair the night before your treatment, as Dr. Burns will most likely place incisions behind the hairline. Finally, remember to avoid any eating or drinking after midnight the night before your surgery, to ensure a safe procedure while under anesthesia. The day of surgery, do not eat anything, and only allow yourself a few sips of water. Dress comfortably for your appointment, with clothes that easily zip or button in front; you do not want to have to pull anything over your head after surgery. Remember to arrive makeup-free and leave any jewelry at home. Do not wear contact lenses on the day of surgery; instead, wear glasses to your appointment. Dr. Burns will take plenty of time to plan your surgery in order to provide outstanding results. Whether you are currently a patient of Dr. Burns or simply weighing your options regarding facial rejuvenation, we are here to provide the answers you need. If you have any questions or would like to book a consultation, contact us online or call us at (361) 576-1975.